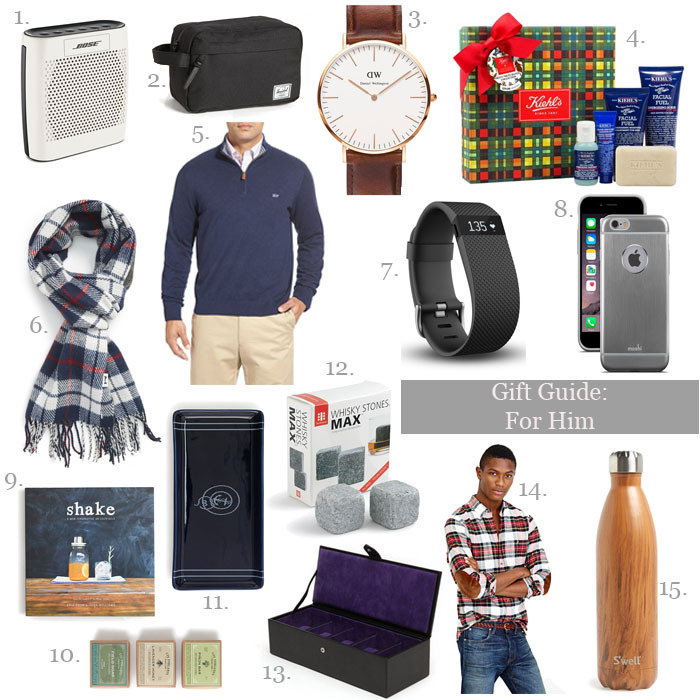 Today's gift guide is in my opinion, the gifts I always struggle with. I don't know about you but all the men in my life just buy themselves things when they need them so it's extra hard to get them something they will use/like/love! I had mike sit next to me and help me pick out gifts for today so a guy's opinion was used! Mike has this shirt, this sweater, and this speaker and loves them all! I also think these whisky stones paired with this cocktail drink recipe book and a nice bottle of whiskey could be a fun gift! Also as a tip, I keep a note on my phone dedicated to "presents" and jot down ideas throughout the year! Mike's birthday is in November and then Christmas is right around the corner so it's been super helpful when coming up with ideas!